The following tables show pin assignments for typical LCD modules. There are two tables, the first for modules with less than 80 characters, the second for modules with more than 80 characters. 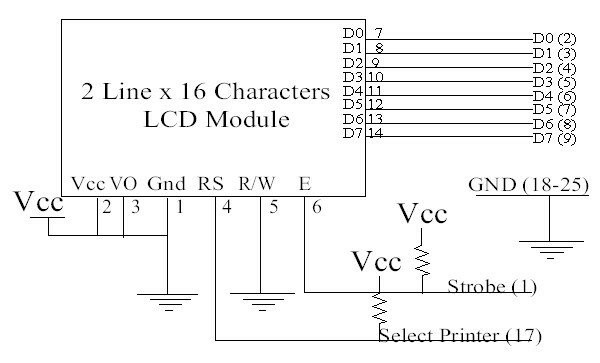 Finally, a typical electrical interface circuit is shown at the bottom of the page.